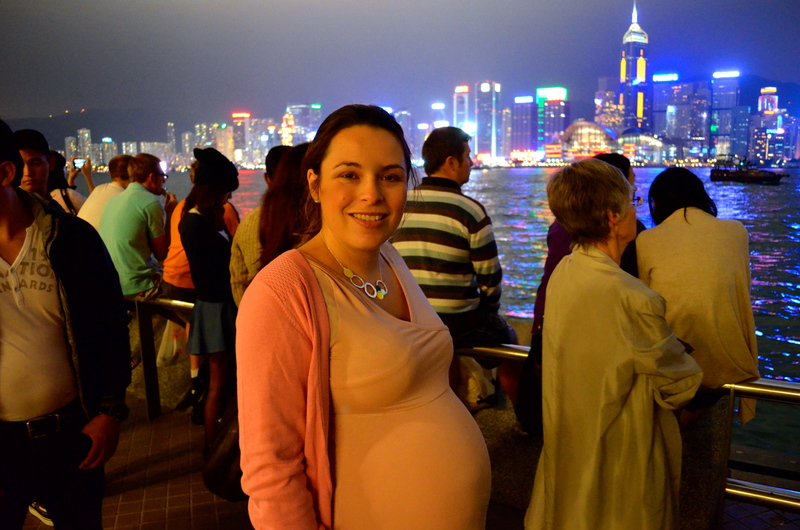 Things to do on your due date – take the Star Ferry to the Light Show! At exactly 40 weeks pregnant as Mum was staying we decided to do something more exciting than hang around at home waiting for something to happen and waddled (well, just me really, although I think D was developing a bit of a ‘sympathy waddle’!) 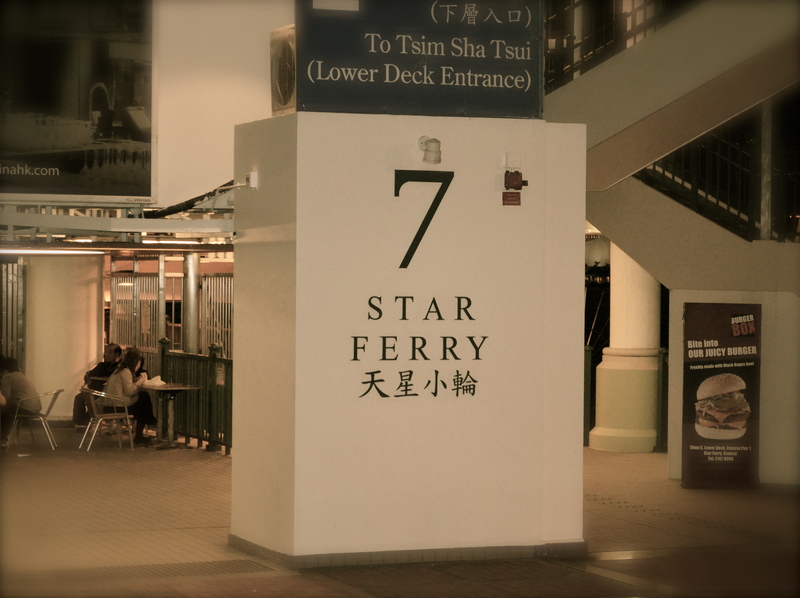 down to catch the Star Ferry over to Kowloon to watch the “Symphony of Lights” sound and light show. Apparently there are five scenes to the show (lifting from the tourist board website here) – but most of this was lost on me. In fact, while the lit up skyscrapers are definitely worth going to see, I thought the whole laser show was quite underwhelming – not sure at all why it is such a tourist ‘must see’. Anyhow, perhaps if you pay a bit more attention to the music and commentary than I did, this is what you might see! 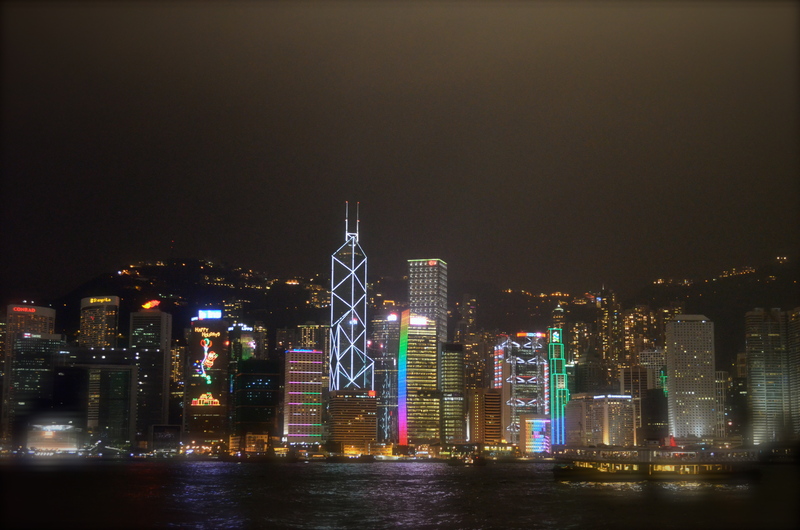 Several lines of laser lights represent the wakening of the earth, then the colorful lights brighten the buildings that are involved in the show, showing the process of the birth and growth of Hong Kong. Through a gradient effect shining from the bottom to the top, the color of the buildings changes and the laser and search lights’ dancing in the sky show creativity and vibrancy. With the melodious accompaniment of Chinese music, with lucky red and golden lights shining on the buildings on the beaches of Victoria Harbor, traditional Chinese cultural features are paraded before the audiences. With laser and searchlights radiating toward each beach and the colorful lights on both of the beaches interacting, this scene mainly shows that Hong Kong Island and Kowloon Peninsula are working together to usher in a brilliant future. Turn on the light that rotates like a kaleidoscope accompanied by flying and shining light effects. 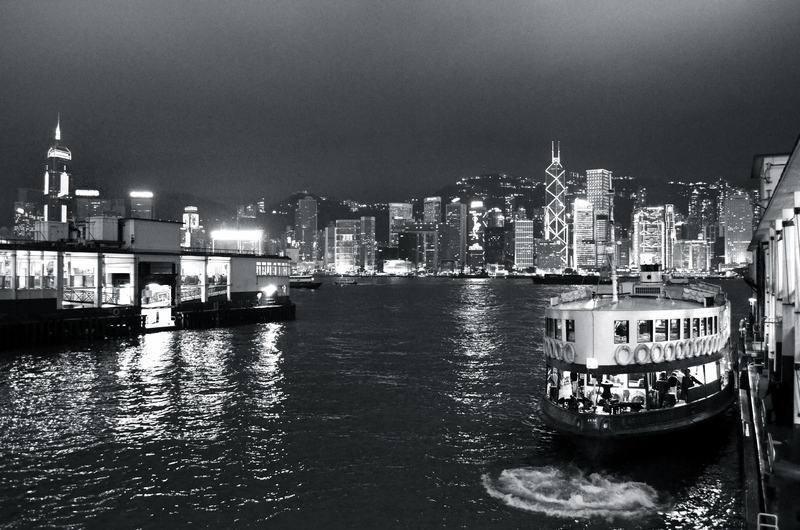 It signifies everybody working together to create a brighter future for the Asian metropolis–Hong Kong. Realising I haven’t really sold this experience – if you’re coming to visit us and you do want to watch the show you can check it out any night at 8pm, it lasts 14 minutes so is easy to fit in before dinner. You can pay to watch it from a harbour cruise but I would just watch it from Star Avenue where you can also here the music and narration too!